Marcus Grodi is familiar to many as the host of The Journey Home television series on EWTN and as founder of the Coming Home Network International. A native of Ohio, he studied polymer science at Case Western Reserve University and worked as an engineer before receiving his Master of Divinity degree from Gordon-Conwell Theological Seminary. After more than fifteen years of youth, young adult, and pastoral ministry, he entered the Catholic Church in 1992, along with his wife Marilyn and their two sons, JonMarc and Peter (a third son, Richard, entered through baptism). The author of several books, including two novels, Grodi's most recent book is Life From Our Land: The Search for a Simpler Life in a Complex World (Ignatius Press). He corresponded recently with Carl E. Olson, editor of Catholic World Report, about his new book and several of the topics addressed in it, including nature, agrarianism, spirituality, stewardship, technology, and life in 21st-century America. CWR: This is a rather unique book in that it's not easily placed into a settled genre. It has some autobiographical qualities and it discusses various philosophical and practical issues relating to "living off the land", but it is not—as you emphatically state—about how to farm. How would describe the book in a few sentences? What were your main goals in writing it? Marcus Grodi: Your opening statement says it well, because even when I go into a bookstore, I’m not sure where to look for it! There are elements of Nature, outdoor living, autobiography, economics, agrarianism, Distributism, a little bit of “preaching” and apologetics, but mostly I wanted to discuss rediscovering the most important priorities of the Gospel of Jesus Christ. There have been many times in history when Christians were claiming that the warnings of 2 Timothy 3:1-5 were surely coming true in their lives! But with one ear to St. Paul’s warning and the other to the evening news, it’s hard to believe there has ever been a time closer to fulfilling these details. All around us are people who seem oblivious to Eternity—and I don’t just mean our neighbors who don’t go to Church. I mean Catholics and non-Catholic Christians who have slowly over time become acclimated to a truncated version of the Gospel. The ease, availability, and speed of technology, as well as a culture defined by the pursuit and accumulation of wealth, has carried so many of us along on a rollercoaster of supposed progress—and the only time many of us notice how completely our lives have been altered by technology is when we try to do anything “the old fashioned way.” We quickly give up and return rejoicing to the newer, easier, quicker, cheaper way, because the muscles we need to do things “the old fashioned way”, as well as the patience, have all atrophied. And the point of this is that this is also true of our faith—the disciplines, devotions, and service that once were normal have been supplanted by the easier, quicker, and more readily available. And of course, I’m not pointing fingers—this is true of me, too, which is what the book is about. In this book, I've tried to describe how I came to discover this; how I rediscovered the core of the Gospel of Jesus Christ by tending sheep, cattle, and other livestock; by failing at gardening; by trying to understand what is going on with our culture and economy; by getting a grip on preparing for the future of my family when the day comes that I no longer have an income to pay the bills; by understanding what is happening to my friends and family as they fail to see the need of Christ and his Church — and for some this has meant not coming to see this before passing on to their reward; and to ask myself, with all the opinions out there, how can I know which opinion is true? My goal in writing this book was hopefully to help at least a few more to find their way through the narrow gate. CWR: Early in the book you write, "I’m a believer! But I’m also a forgetter, and I have come to realize that nature is a great reminder." What are some of the things you are reminded of when in nature? How does our distance from the nitty-gritty of nature—as a culture and nation—affect the way we see, think, and understand reality? Behind us there was another distinct group. Join Renowned Biblical Teacher Steve Ray for a New Adventure in 2015! A New Adventure with Steve Ray, the Catholic Indiana Jones! NEW YEAR – NEW FILM – NEW ADVENTURE WITH STEVE RAY! in Your Parish in 2015! 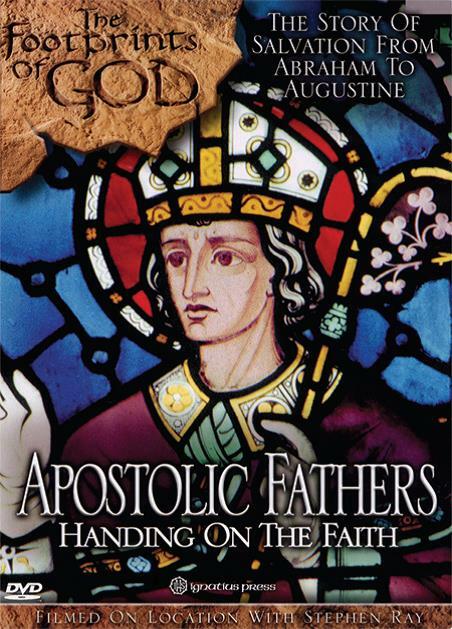 Have you been following the Footprints of God from Ignatius Press and Steve Ray? If you have, you already know there is nothing else like these fast-paced, entertaining, educational documentaries on our salvation history. If you haven’t, you’re in for a real treat! These eight films combine the elements of a biography, travel documentary, Bible study and apologetics course all rolled into a remarkable, family friendly adventure! Each one is a 90-minute, stand-alone masterpiece taking the viewer to another time and place. With ABRAHAM you will travel with Steve back 4,000 years to Iraq, Turkey, Palestinian Territories and Israel. Have you ever seen a ziggurat? You will! 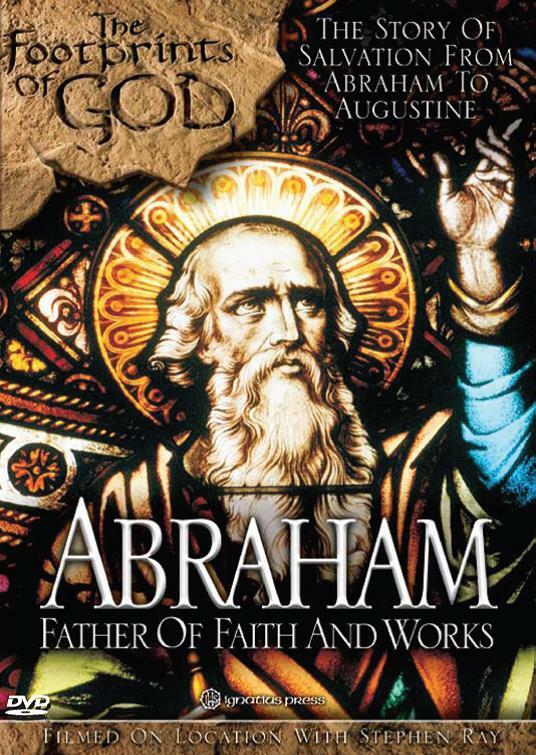 And now this much anticipated foundational film in the series, ABRAHAM: Father of Faith and Works, has been released as an exclusive parish screening program. Parishes, schools and organizations will be able to purchase a package that will include DVDs to have for sale or to gift, a free DVD for showing, promotional materials, and a 12-month site license to show the movie unlimited times in your facility or in a theater! License holders will have 6 weeks of exclusive sales of the ABRAHAM DVD before general sales will start on March 17th. And for those who would like to show all 8 Footprints of God DVDs now available: JESUS, MARY, PETER, PAUL, APOSTOLIC FATHERS, MOSES, DAVID/SOLOMON and ABRAHAM, we have packages that include a 12-month site license to show all 8 DVDs as well as a free copy of each DVD to use for showing, copies of all the DVDs to sell or gift, and promotional materials. Both of these parish screening programs make great evangelization tools and can be used as a fundraiser as well. 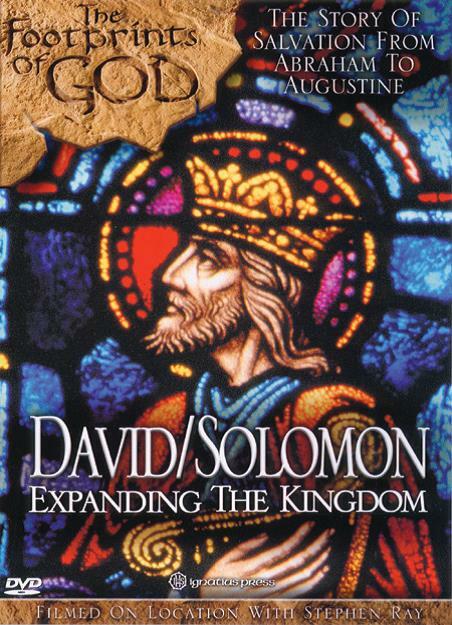 Click here to see an overview of the Footprints of God films. For more information on packages and prices available as well as the forms to order your packages, please go to www.IPMovieNights.com and click on SPECIAL SCREENING PROGRAMS. These programs are available only in the U.S. and Canada. Copyright © 2015 Ignatius Press, All rights reserved. Mass at St. Ignatius cathedral in Shanghai – photo taken during the Requiem Mass of Bishop Aloysius Jin Luxian. Source: Author’s private collection. The blood of martyrs has proven to be the seed of the Church in China, as vibrant communities thrive despite government interference and restrictions. Still, China’s Christians have an optimistic view of their experiences. Elderly Catholics use the word chiku (吃苦) to describe their lives during the Maoist period (1949-1976), which literally means “having tasted bitterness.” One priest noted, “When we were bombarded with anti-Christian propaganda, we had tasted bitterness. We did not swallow it. We survived.” China’s Catholics have done more than survive; they have flourished. Over the years I have travelled in China by mule, train, plane, boat, taxi, bicycle, and long distances on foot to visit important places in the history of Christianity in China, and each year I am astonished by the unprecedented progress of the Church there. Editor's note: The following was originally given as an address at the Bosque School in Albuquerque, New Mexico, on May 8, 2014. — C. S. Lewis, from the second Screwtape Letter, The Screwtape Letters (New York: Macmilllan, 1962), 11. — From James Boswell’s Life of Johnson, 1730 (London: Oxford, 1931), I, 49-50. “Bosque” is evidently the Spanish word for a forest. Here in the southwest it refers especially to woods along river bottoms. In this school, the river is the famous Rio Grande. One can speak of being educated in a forest or even, I suppose, of being educated by a forest. Tolkien, who had a special love of trees, used to speak of what the forest taught. Our Scriptural heritage speaks of a “Tree of Knowledge of Good and Evil” with a Garden as the original place of the First Parents. The relation of gardens to parks and forests is an interesting one. I believe that the City of St. Lewis has a large “Forest Park,” as does Everett, Washington. In one sense today, we must almost say that all of our national forests spread throughout the country are cared for as large scale gardens and parks. In the middle of Munich Germany, is a lovely park called “the English Garden.” We probably have no “forests primeval” left. Even the jungles in Brazil come under governmental control. We go out of our way to prevent development of certain woods and lands. In a way, nature becomes more nature when it comes under the scope of human understanding. Nature was not meant simply to be nature. It was also meant to be understood as nature. The things of nature have their own intelligibility. A school in a forest setting is designed, in the first place, to be a school, not a forest. This particular school was founded in 1994, so it is a mere twenty years old. Its first graduates are still not nearly into what Cicero called “old age.” The state in which this school is located is not in “Old” but in “New” Mexico. New Mexico entered the Union on January 6, 1912. My father was born in Iowa in 1904. In the beginning, I cited a passage from James Boswell writing in 1730. This was forty-six years before the signing of the Declaration of Independence and one hundred and twenty-seven years after the founding of Jamestown, Virginia in 1607. I taught in a university in Rome founded in 1551. The usual date given for the founding of the City of Rome is 753 B. C. Thus, in terms of Roman dating, this year, 2014 A.D., is listed as Ab Urbe Condita 2767. That is, from the founding of the City of Rome, two thousand seven hundred and sixty-seven years. I used to insist that students knew, among others, the dates of the deaths of Socrates, Aristotle, Cicero, Augustine, and Aquinas. From the time of Abraham to the time of Socrates was approximately eight hundred years. From the time of Socrates (d. 399 B.C.) 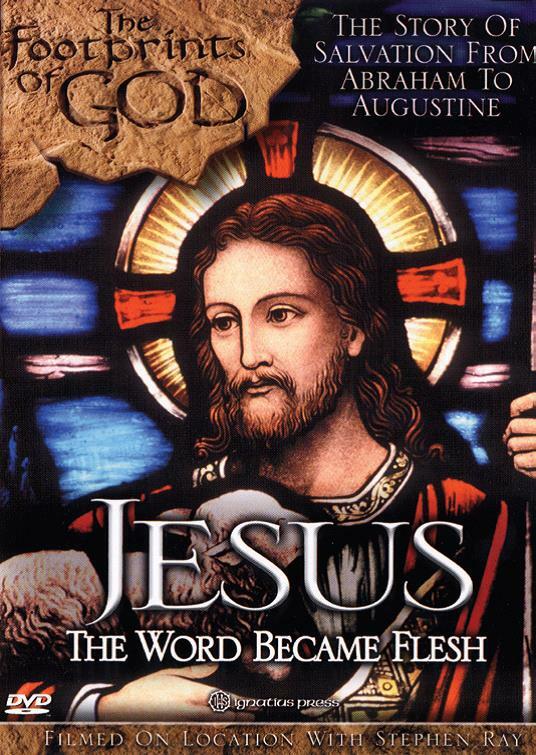 to the death of Augustine (d. 430 A.D). was another eight hundred years; from Augustine to Aquinas was eight hundred years (1274 A.D.). From Aquinas to our days is likewise about eight hundred years. These are time sequences and dates that anyone can remember from early youth if he but learns them. They serve to give some time proportion and structure to our history. We also know of ancient Chinese, Hindu, and Inca calendars. The age of the universe itself is said to be around 13.7 billion years. We like to know what went on, where, and involving whom. Some education in time and space statistics, in history and geography, is appropriate to the young whose memories are still alert. It is good to know the where’s and when’s of things. If we do not take the trouble to know what happened in time and space, we will not be able to place things in relation to each other. Everything will come together as if time and space were collapsed into one blurry time and one fuzzy place. Knowledge of times and places is not the most profound kind of learning. But it provides the context and arena for what are the highest things. Again, I mention this point here as such things are best learned when we are young. We do not waste our time when we know more than our own time and place. But can we not just look up times and places on our cell phone? No one needs to remember anything. The machine will do it for us. Yet, machines do not know relationships, how the Battle of Hastings in 1066 is related to the Plantagenet House of English monarchs. No machine knows that it knows. Yet, there is too much to remember, no doubt of it. Why not let the machine do it? The machine is a helpful tool to memory, no doubt of it. But if nothing is actually in our heads, we will not see how this relates to that. That is what we have a mind for, to see the connections, the order of things. And how do we know what we should remember? When was it, where was it, and who said it? When and where was the first Mass offered in America? No one living today knows the answer to this intriguing question. 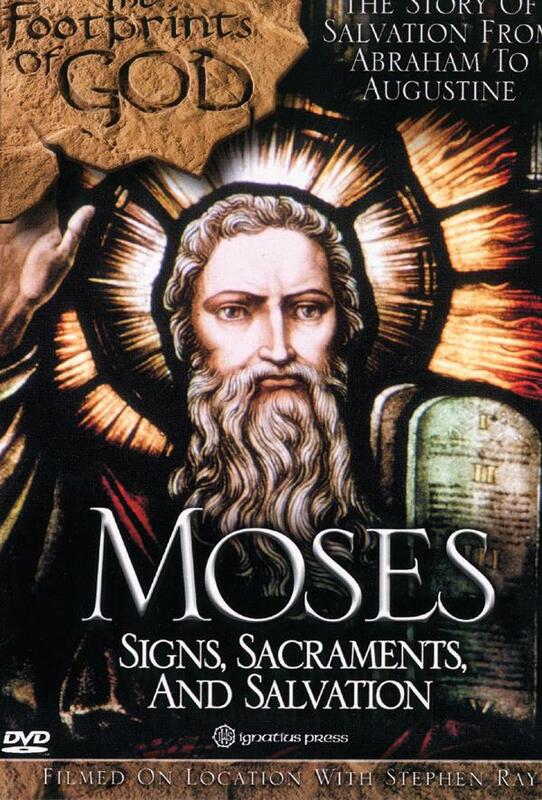 But we can summarize what we do know about the first Masses in various parts of the New World. Some legendary accounts of the life of St. Brendan, who was a priest, say he set off in a small boat on a journey to the Isle of the Blessed, sometime around A.D. 512, along with 14 monks and priests. After they landed on Saint Brendan’s Island—wherever that was—he celebrated Mass. There are people who say that elements of the legends of the journey demonstrate that the Irish did have some knowledge of the northeast Atlantic coast of America, so if St. Brendan or some other Irish seafaring priest did arrive there, he would certainly have offered Mass, as he is said to have done in nearly every other place he visited (including, as the legend goes, on the top of a whale in mid-ocean). Remains of a Norse settlement at L’Anse aux Meadows, on the island of Newfoundland, were discovered and excavated in the 1960s. The settlement dates from around A.D. 1000. It was probably not the only settlement the Norse set up in the region, and it was likely that it served as a sort of permanent outpost for shipping lumber and furs to Greenland and perhaps further east. The size and number of buildings suggest that as many as 150 people lived there. Icelandic bishop Eric Gnupsson, who had been based in Greenland since 1112, “went to seek Vinland” in 1121—presumably to minister to some of his far-flung Catholic flock—but nothing more was reported of him. If he succeeded, he surely offered the first Mass in the New World, perhaps at L’Anse aux Meadows or at another Norse settlement. With the approval of the Norwegian king, a bishop for Greenland was set up and the see was established in the settlement of Garðar. The first bishop, Arnaldur (Gnupsson’s immediate successor in Greenland), arrived there in 1126 and began construction of a cathedral, devoted to St. Nicholas, the same year. The last bishop served until 1378. Archaeologists have excavated the ruins of the cathedral, a cross-shaped church built of sandstone. The first American Mass for which a record exists took place during the second voyage of Columbus, on the feast of the Epiphany, January 6, 1494, at a temporary shelter that would serve as a church at La Isabela, 30 miles west of what is now Puerto Plata in the Dominican Republic. Five priests accompanied the expedition: Benedictine Father Buil, Jeronymite Father Ramone Pane, and three Franciscan missionary priests. Fr. Buil celebrated the Mass. The settlers built a church on the site, the foundation of which has been excavated (another church building is now at La Isabela). The original settlement was abandoned by 1498 and its settlers moved to the newly established Santo Domingo on the south side of the island. There is some solid but as yet inconclusive evidence that in that same year of 1498 the first Mass may have been celebrated on the North American continent (apart from the Norse settlements). These past weeks leading up to the canonization of Blessed John XXIII and Blessed John Paul II, have provided a wonderful opportunity to revisit and reflect on their contribution to the Church and the world. This week , at the Pontifical Urban University in Rome, the Symposium of Episcopal Conferences of Africa and Madagascar (SECAM) organized a two-day event with the theme, “The Church in Africa: From the Second Vatican Council to the Third Millennium”. The conference was a chance to celebrate the contribution of the two Popes to the Church in the continent of Africa. The two newest Saints have a deep history with Africa. While Pope Paul VI was the first pontiff in history to set foot on the continent when he visited Uganda in 1969, it was Pope John XIII who created the first African Cardinal, Laurean Rugambwa (1912-1997), in 1960. Pope John Paul II made numerous trips to Africa, including three visits to my own country, Kenya, within a span of fifteen years. However, what has caught my attention, especially in light of recent and ongoing events on the African continent, is what I and my fellow African citizens can learn from these two great Saints as we seek to advance justice and peace. During the month of April, Africa and the world have been commemorating the twentieth anniversary of the Rwandan genocide. The tragic events in Rwanda are still very fresh for many in the Central African country. The words “Never again” have been used repeatedly, in expressing the commitment that humanity will no longer remain as spectators in the face of the evil of war. Regrettably, violence which has been described by various international agencies as “genocidal”, erupted late last year in the Central African Republic and South Sudan. And just this week, the world has witnessed what is being described as the “Massacre of Bentiu”, in which hundreds of civilians were killed in a church, a mosque and a hospital in the South Sudanese town of Bentiu. The current conflict in South Sudan, pitting rebel forces under the command of former Vice President, Dr. Riek Machar, against government troops and President Salva Kiir, began in mid-December and was precipitated by internal power struggles within the ruling party, the Sudanese People Liberation Movement (SPLM). An agreement on the cessation of hostilities signed by the two parties and brokered by the Inter Governmental Authority on Development (IGAD) on the January 23rd, failed to hold, even after weeks of mediation talks in the Ethiopian capital, Addis Ababa. Watching a country—whose birth I was old enough to witness—disintegrate so soon, along with the human suffering, death and destruction being experienced, is a sad experience. I recently turned to Pacem in Terris, the encyclical of Pope John XXIII on “Establishing Universal Peace in Truth, Justice, Charity and Liberty”, given on April 11, 1963. Now, the 1960s is significant in various ways in the history of the African continent, besides the many events in the life of the Church. More than thirty African countries gained independence during that period (1960-1969). A few weeks after Pacem in Terris was given, the Organization of African Unity (OAU), the predecessor to the African Union (AU) was formed, to promote unity and solidarity of African states in order to achieve a better life for its people. Voyage to Alpha Centauri explores familiar and timely themes, but in a very different setting. Michael O’Brien is a superior storyteller and an increasingly bright light in the Catholic literary firmament. The Canadian native's fiction is reminiscent of Tolkien’s: epic in scope, universal in theme, and filled with ordinary characters facing extraordinary obstacles. An iconographer by trade, O'Brien's novels are literary icons, attracting readers with vibrant imagery in order to invite them into a deeper contemplation of eternal truths. O’Brien’s latest work, Voyage to Alpha Centauri, fits this mold. New: "Revolution in Rio: The Best of WYD 2013"
More than three million young people around the world responded enthusiastically to the invitation of Pope Francis, and you can experience that incredible enthusiasm of youth for the challenges presented by the charismatic Pope. Six unforgettable days synthesized in 55 intense minutes that mix humor, fervor, cry and love in joyful symphony. With several wonderful bonus extras. Last week I enjoyed a wonderful five days in Rome. While I'd previously spent a fair amount of time in the city, this was my first return following my conversion to Catholicism in 2010. Wednesday. As the Holy Father made his way through St. Peter’s Square—and the nearly 50,000 in attendance snapped photographs, cheered, and passed their babies to be blessed by him—I couldn’t help but to reflect on the rich symbolism at play. There we were, joyfully witnessing the current successor to St. Peter while only a few hundred feet away from the tomb of St. Peter, as well as many of the other popes throughout the ages. This unbroken chain of succession is something that no other institution on this earth can boast of—giving further witness to the fact that the Catholic Church is more than merely a human institution. Our roots and our origin are to be found in the eternal and the divine. All of this—the churches and cathedrals, the papacy, etc.—are earthly ministries meant to point us toward our heavenly home. The "station churches" of Rome take the pilgrim back to the very first centuries of Christian life in the city, as virtually all of them are associated with early Christian martyrs. To make the pilgrimage to the prescribed "station church" for each day of Lent is to relive the experience of the pope and the people of Rome in the first millennium, when popes led a daily procession through the city to the "station" of the day, where Mass was celebrated and the day's fast broken by a post-Mass communal meal. In addition to being a marvelous way to deepen one's experience of Lent (and Easter Week, for the pilgrimage extends through the Octave of Easter), the station church pilgrimage is also a splendid way to "learn Rome" and to explore some of its hidden artistic treasures. 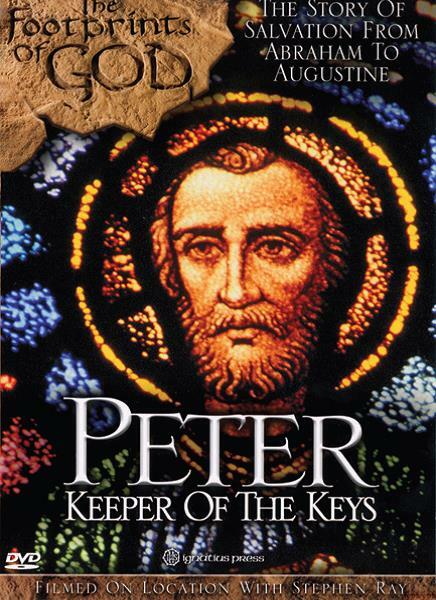 While at St. Peter’s in Chains, the church that holds the chains believed to have held Peter while imprisoned, Weigel invites the reader to consider more than just the historical significance of relics. Relics are meant to challenge our present living. St. Peter and his relics speak to us today, observes Weigel, by making us ask ourselves the question: “Am I becoming a saint?” Indeed, the path to sainthood is the only thing that can deliver us from slavery and the chains that bind us in this present life. Consider, too, the Basilica of St. Paul’s Outside the Walls built on the site where Paul is believed to have been buried. 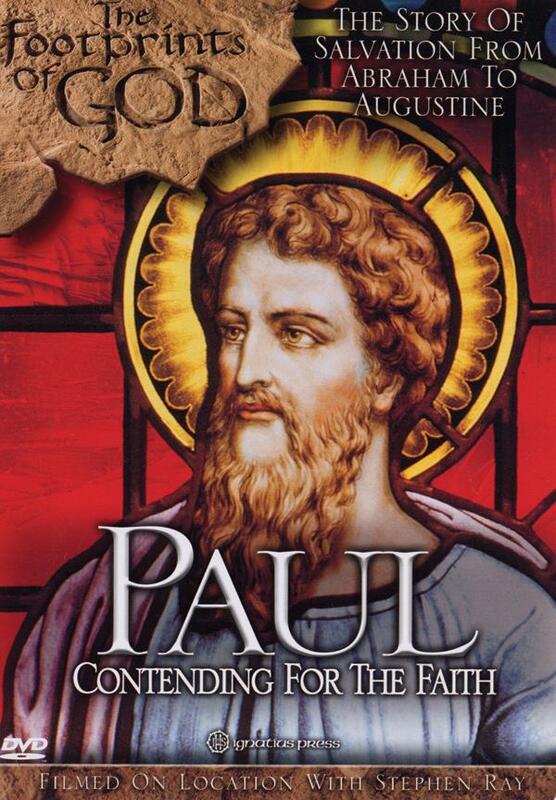 Paul, who converted to the faith after being a great persecutor of Christians. Here, Weigel provides a reflection on the true nature of freedom, a freedom that allows us doing the right thing at the right time. This freedom—a “freedom for excellence”—as St. Paul came to understand, provides the courage to endure all that is necessary for the sake of the gospel. Back at St. Peter’s Basilica, we encounter Peter, a fisherman who has become a radical disciple of Christ, eventually charged to lead his Church as the first pope. In following Christ, he offered his own life—a life the Church now remembers and celebrates in the Church built above his burial site. “Peter is here because Peter met the Risen Lord,” Weigel reminds us. The resurrection and the hope of Easter is a narrative of life, not death, and the ministry of Peter, and his successors, is one that proclaims that message to the world. Clocking in at almost five hundred pages, the book takes the reader through every day of the Lenten season and the Octave of Easter. Enhanced by beautiful photographs from Stephen Weigel (George’s son) and commentary from art historian, Elizabeth Lev, the book is part devotional, part history guide. And even though I have returned home from my own trip to Rome, thanks to this wonderful new work, this pilgrim’s journey is really just now beginning. One of the best-kept secrets of lived Catholicism in Rome, the station churches pilgrimage, which dates back to the earliest centuries of Christianity, can now be experienced by the faithful worldwide in George Weigel's latest book, Roman Pilgrimage: The Station Churches (Basic Books, 2013), co-authored with art historian Elizabeth Lev, and featuring the photography of his son, Stephen. 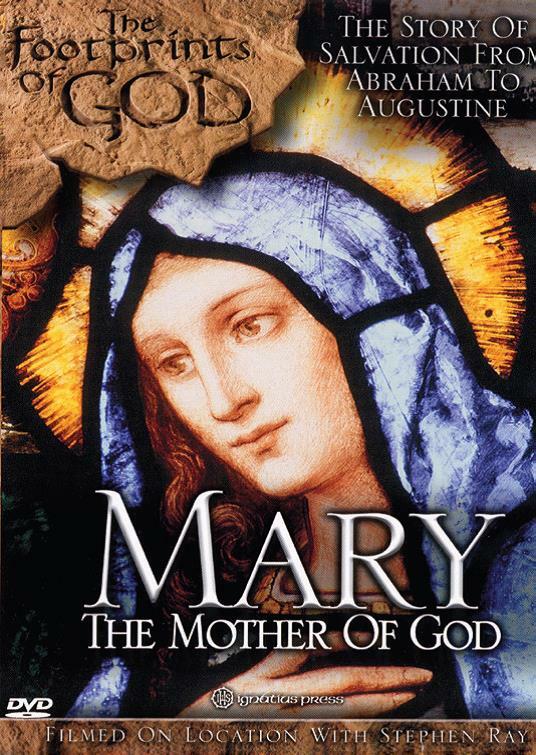 George and and Stephen Weigel spoke recently with Catholic World Report about the new book. CWR:Roman Pilgrimage is a day-by-day journey to forty historic churches in Rome. What is significant about these holy sites and this "pilgrimage" around the city? George Weigel: The "station churches" of Rome take the pilgrim back to the very first centuries of Christian life in the city, as virtually all of them are associated with early Christian martyrs. To make the pilgrimage to the prescribed "station church" for each day of Lent is to relive the experience of the pope and the people of Rome in the first millennium, when popes led a daily procession through the city to the "station" of the day, where Mass was celebrated and the day's fast broken by a post-Mass communal meal. In addition to being a marvelous way to deepen one's experience of Lent (and Easter Week, for the pilgrimage extends through the Octave of Easter), the station church pilgrimage is also a splendid way to "learn Rome" and to explore some of its hidden artistic treasures. CWR: Who do you envision reading this book? Is it just for those who are actually in Rome for Lent? George Weigel: Roman Pilgrimage is a good way to "do Rome at home"—that is, to make the Lenten station church pilgrimage from your living room or study, a day at a time, reflecting on each day's liturgical texts and getting to know each day's stational church. So the book really is for everyone. Those planning on taking it to Rome as a companion to do at least a part of the pilgrimage might want to order the eBook, which is gorgeous (all photos are in color) and a lot easier to carry around. CWR: The book is an insider's look at one of the best-kept secrets of those who live in Rome, although it is certainly not new. What do you think makes this book "work" to bring the experience to those who may have never even stepped foot in the Eternal City? George Weigel: In addition to being a guide book to more than three dozen venerable churches and their unique architectural and artistic histories, Roman Pilgrimage is a spiritual companion to Lent and a means of discovering the baptismal character of the Lenten season, which is for all Christians, not just the Church's enrolled catechumens. In a sense, Lent invites every Catholic to re-enter a kind of catechumenate each year, examining conscience and pondering the ways in which we have and haven't practiced the imitation of Christ during the previous twelve months. The splendid cycle of Lenten biblical and patristic readings at Holy Mass and in the Liturgy of the Hours offers an unparalleled richness of material for reflection, amplified by the experience of beauty as a "rumor of angels" that everyone takes from the experience of the station churches. Thus after making the "Forty Days" through the station church pilgrimage, we can renew the promises of our own baptism with real conviction, and fully appreciate being blessed with baptismal water at the Easter Vigil or on Easter Sunday. CWR: Art historian Elizabeth Lev also worked on this project with you. What was her unique contribution to the book? Visit Steve's site to watch a ten minute video.